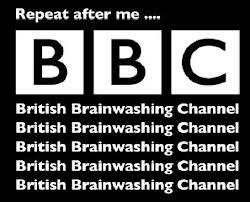 By Neil ClarkMay 16, 2013 "Information Clearing House" -"The American Conservative"- It all started in July 2001 when two men, concerned about bias in the corporate news media in the UK, began to send out “media alerts” to a small number of family and friends. Twelve years on and Media Lens—the brainchild of writer David Edwards, a former manager in sales and marketing, and David Cromwell, a physicist by background—has established itself as the UK’s media watchdog. There’s no doubting the impact they have made. “Without their meticulous and humane analysis, the full gravity of the debacles of Iraq and Afghanistan might have been consigned to bad journalism’s first draft of bad history,” is the verdict of veteran reporter and filmmaker John Pilger. It’s been an eventful twelve years. In addition to the “debacles” of Iraq and Afghanistan, we’ve had the (ongoing) menacing of Iran on account of an unproven nuclear-weapons program and Israeli military assaults on Lebanon in 2006 and on Gaza in 2008 and again in 2012. Add in the global financial crash of 2008, and there’s been plenty to keep the two Davids occupied. David Cromwell’s new book, Why Are We The Good Guys?, discusses these events and the work that he and Edwards have done to counter the “elite-friendly value assumptions and judgements” that characterize their coverage in Britain. Although he is clearly a man of the left—his working-class childhood was an “interesting mix of Catholic and Communist” influences—Cromwell’s not one to be deceived by labels, an important skill to possess in an age when wars are sold as “humanitarian interventions” to gain support from liberals. Media Lens has been outspoken, when the need arises, in its critique of so-called liberal-left media. Many on the British center-left give the BBC a free pass because they have swallowed the line that the organization is somehow “left-wing.” Yet Cromwell and Edwards have shown that when it comes to propagandizing for illegal wars and peddling establishment views, the BBC has at least as bad a record as commercial news networks. When I caught up with David to talk to him about his new book, the BBC was in the middle of what has been described by some as the biggest crisis in its 90-year history: the resignation of its Director-General and other bigwigs after the fallout from a “Newsnight” program on child abuse. But while heads rolled over the state-owned broadcaster getting allegations wrong on just one program, Cromwell points out that the BBC was never held accountable for the role it played in the lead up to the Iraq War. In the run-up to the conflict, I and many of my colleagues, were bombarded with complaints that we were acting as mouthpieces for Mr Blair. Why, the complainants demanded to know, did we report without question his warning that Saddam was a threat? Hadn’t we read what Scott Ritter had said or Hans Blix? I always replied in the same way. It was my job to report what those in power were doing or thinking… . That is all someone in my sort of job can do. “Robinson performs the same compliant role today as political editor for the BBC,” Cromwell says. Violence feeds on violence, as wise people have known for thousands of years. For example, if brutal state repression is met by violence from some elements of society, it provides an excuse for state forces to ramp up fire-power and crush dissent with even more brutal and widespread violence. The current state of Permanent War can only be ended by people coming together peacefully to overcome state power. Neil Clark is a UK-based journalist, blogger, and writer.